Auckland International Airport is the gateway to the beautiful country of New Zealand. The most common place for international visitors to fly into and home of Air New Zealand - the airline of the year in 2010 and 2012. The airport has followed a New Zealand cultural feel throughout the departure and arrivals area to welcome you and farewell you from the beautiful country. Auckland International Airport is located in Mangere, Auckland, 21 km south of the city centre. The airport is the largest and busiest with over 13.6 million passengers annually. Transportation: The airport is easily accessible from the city centre with an air bus that operates every ten minutes. There is also a shuttle service operating all over Auckland. The best way to get around Auckland and New Zealand is by car. The airport has rental cars readily available. Book one ahead through Auckland Airport Car Rental. You may even find some deals at this blog. Auckland Airport has just set up a campervan park so you don't need to drive for hours after you get off a long haul flight. You can have a snooze and then get underway exploring. If you'd like to find a campervan check out Campervan Hire New Zealand. Domestic Terminal: The Domestic terminal is connected to the international terminal by an easy to follow guided walk way. Alternatively, there is a terminal transfer bus every 15 minutes. Hotels: The new Novotel has opened up at Auckland International Airport adjacent to the terminal, right outside the arrival doors. 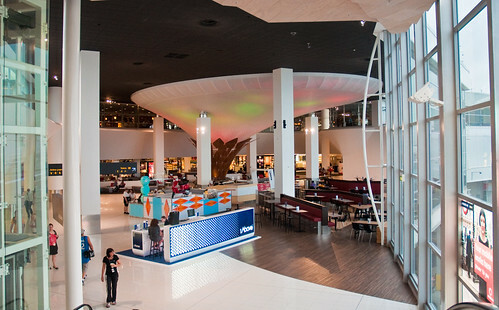 Shopping : Auckland Airport has a multitude of shops for souvenirs and gifts, News and books, Fashion, sport and beachwear and accessories and jewellery. A lot of the shops are New Zealand made specialties to take home with you. 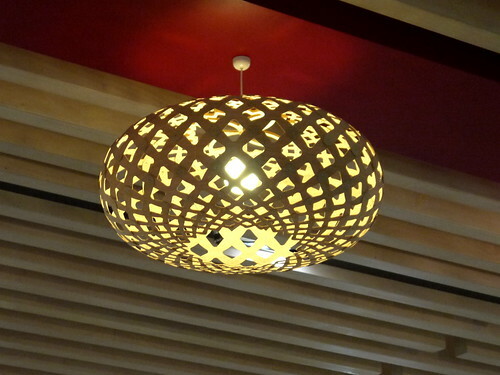 Dining: New Zealands coffe is beautiful and the airport has many places to try it. Cafes, sushi, a juice bar and old family favourites like McDonalds are on the menu. Sustainability: The airport aims to keep New Zealand's clean green status with it's social responsibility efforts. On the roof of the new international terminal is a large photovoltaic solar panel installation. The 300m2 solar panel converts the sun's energy directly into electrical energy. The energy it generates is enough to power the arrivals corridor lights during the day. Solar water heating panels are also in place to service the public toilets on the first floor. tTese are just an example of Auckland Airport's efforts. For more information on the airport or to check your flight times, check out Auckland International Airport.